This is another from Donna Wilson’s knitted woodland at the Yorkshire Sculpture Park. Love the knitted woodland . 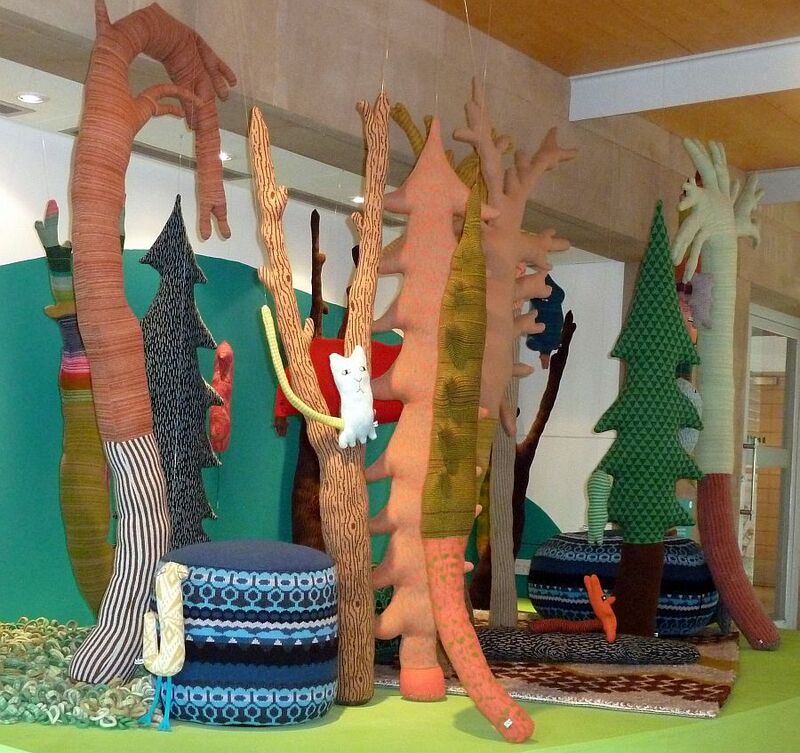 . .
Love how inviting this piece of art is…everything from the knitted trees to the colors scream come explore me! I am a knitter of long standing and this is super work, cute zoom photo, and as usual dialogue makes me giggle!